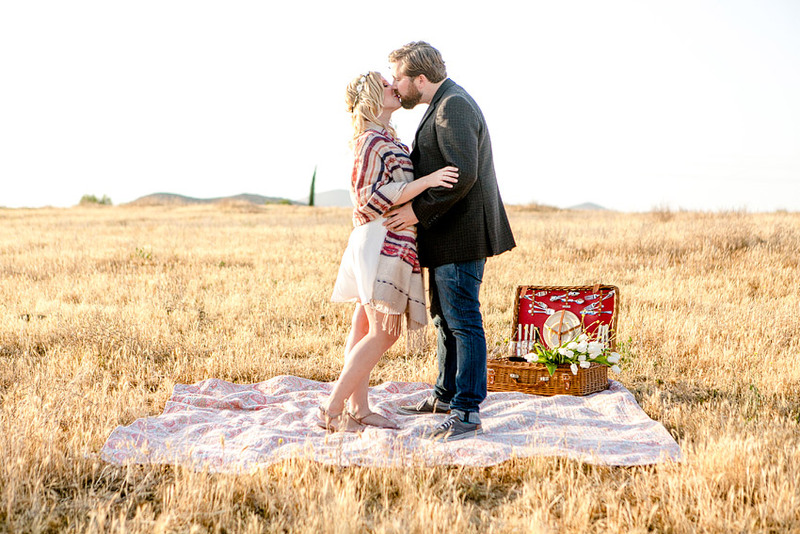 Temecula Valley sunsets over the meadow, geometric throws, and a lavishly packed picnic basket was the perfect backdrop at for the engagement session photoshoot for Jocelyn and Ben. 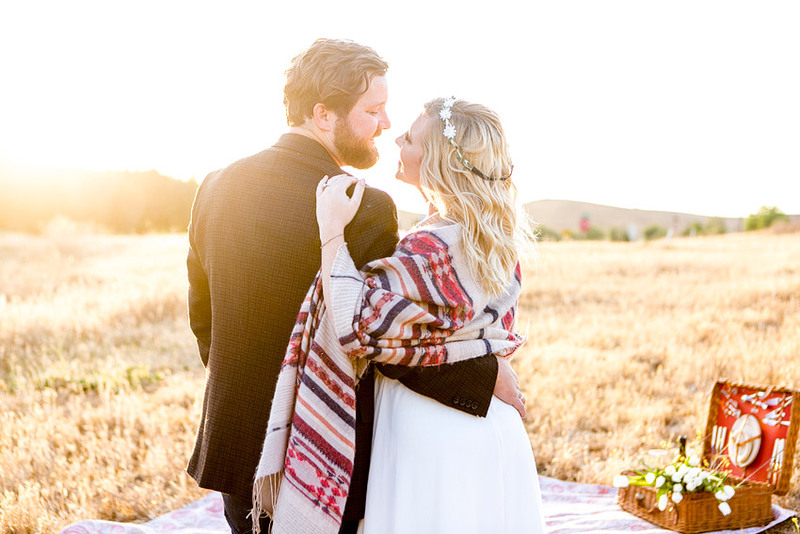 Joined by their love of music, his guitar and her piano, Jocelyn and Ben exude a love that’s bound hopelessly in their passion of hiking, biking, and “dog-ing.” As best friends and business partners, they share a taste for good food, great wine, and travel to far off locations (Ireland and England!). Ben swears he’s not a hipster, but how hip is this photo shoot? So hip. Jocelyn and Ben- We can’t wait to capture your special day with you! Thank you for so much for being wonderful to work with!